As we approach the long Labor Day weekend, the temperatures will take a break from their last extremes. But do not get used to the cooler weather – we're looking at more heat and humidity that will arrive later this weekend and last for the next week. 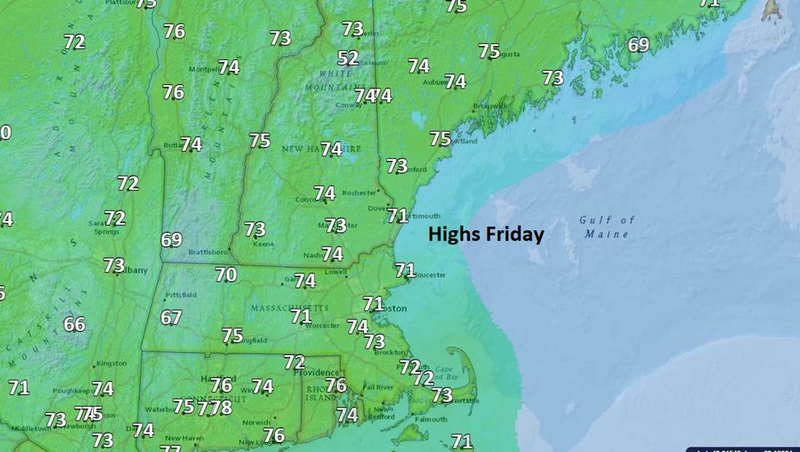 Temperatures for Friday will come out of the water in the middle of the 70s. We will also see temperatures below 80 for Saturday. On Sunday, readings will continue until the 1980s and you will notice an increase in humidity. Monday is hot and a good day at the beach. The heaviest cloud cover will be Friday and the first part of Saturday. Temperatures Saturday is below average. I'm not forecasting rainfall this weekend. However, there is a small window for a brief spatter Sunday night or Monday when humid air arrives. There will be a mix of clouds and sunshine this weekend (lower dew points will start, but high dew points will be over). 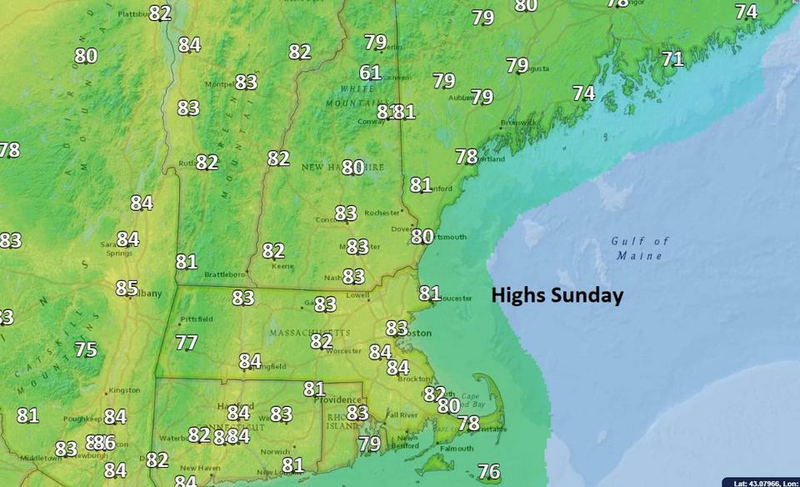 Temperatures Sunday will be above average. The dew point loop shows the dry air, which moves briefly before the higher humidity comes from the south on weekends. (Note that dew points are expected at or above 70 in New England.) This means that it feels tropical again on Sunday afternoon and on Labor Day. Dew points will increase significantly this weekend. It may feel like autumn at the beginning of this holiday weekend, but when it's over, the sultry summer heat that we know all too well  Flooding on the Atlantic coast has been fighting steroids this summer. Although it relaxes on Friday and Saturday in New England, in the first full week of September, it will again become a dominant force in our weather. An anomalous high pressure zone will dominate the weather until the middle of the year. September. 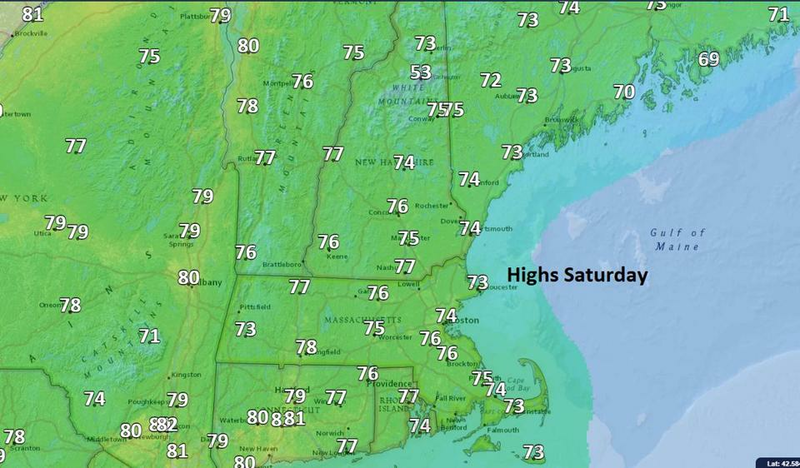 If you drive to northern New England last weekend, you can expect a mix of clouds, sunshine, and 70's temperatures. The morning lows will be in the 50s and 60s, ideal for sleeping. 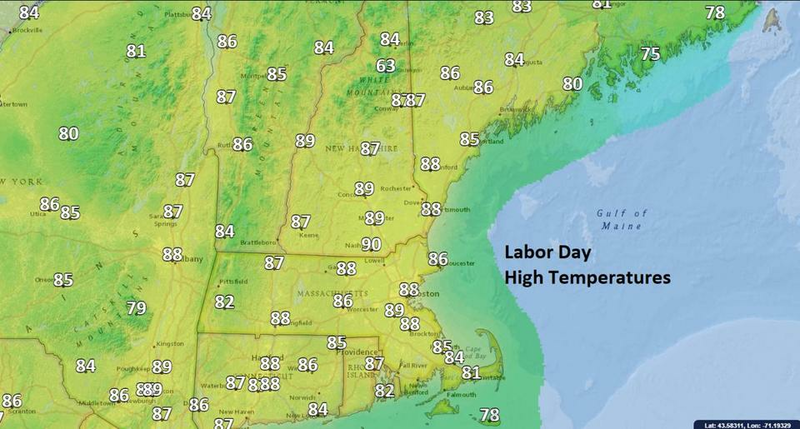 Some areas will reach 90 on Monday for the beginning of a possible heatwave. When you go to the beach, the water temperatures are warm because of the last heat. You can expect much of the same prognosis over Cape Cod and the islands. There may be a few more clouds left over the weekend, as the humidity starts to come. The winds will be coming from the East on Friday and Saturday, but will become more so on Sundays and Mondays. That's the reason for the increase in temperature and humidity. If you need a long-lasting heat and moisture break, you must wait at least until mid-September. Follow Dave Epstein on Twitter @growingwisdom .